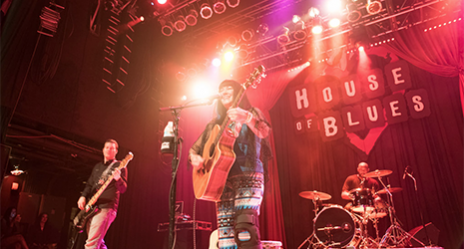 Billboard Award® Winning songwriter Donna Larsen’s acoustic driven, original, insightful and spiritually centered music resonates in your soul. 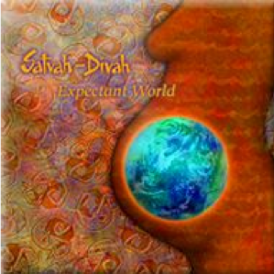 This Pop to Rock album is inspired, emotional, melodic and musically intriguing.The variations in musical architecture and mood cross all boundaries and land in the heart of each listener. From forceful to sweet, you too can be a Messenger - just listen! 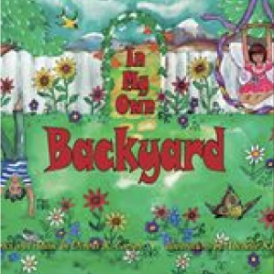 Check out Donna's soon to be released Children's Picture Songbook/CD Set, "In My Own Backyard" Click to listen. 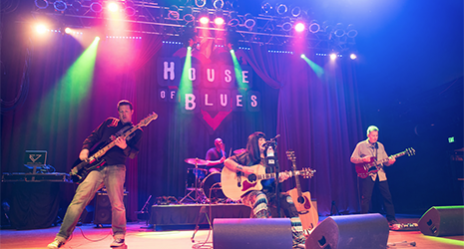 Messengers will once again be performing on the Moon Stage at this year’s San Diego Earth Day. Gonna Be A Great Day April 28th – Honoring The Earth! Donna Larsen and Messengers bring you something entirely unique. Any attempt to peg the music that comes from this engaging band will leave you stymied. Messengers’ music guides you through wide ranges of depth and feeling and brings with it a variety of intensity that you won’t experience elsewhere. They deliver songs you want to listen to over and over again, along with some that you can’t help but just dance to – even in your own living room. New Music coming on Messengers self-titled CD! Donna Larsen and Messengers bring you something entirely unique. Any attempt to peg the music that comes from this engaging band will stymie the listener. This music guides you through wide range of depth and feeling and brings with it a variety of intensity that you won’t experience elsewhere. Messengers delivers songs you want to listen to over and over again, along with some that you can’t help but just dance to – even in your own living room. There is such a range of emotional experience that it could only be delivered by a merging of musical artists from somewhere between Pink Floyd and Joni Mitchell. Actually, it is actually easier to describe what this music is not. 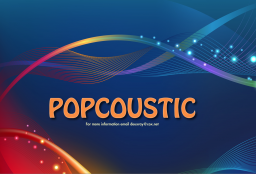 It is not Goth, Heavy Metal, Country, Americana, Blues Rock, Jazz Rock, Punk Rock… So we call it Indie Pop Rock. Donna Larsen’s musical architecture, mood, history, and psychology crosses all boundaries and lands in your heart. Lyrically she lives in a world of positivity and possibility. This music so much more! You can hear the influence diverse artists and genres that have stayed with Donna throughout her lifetime. 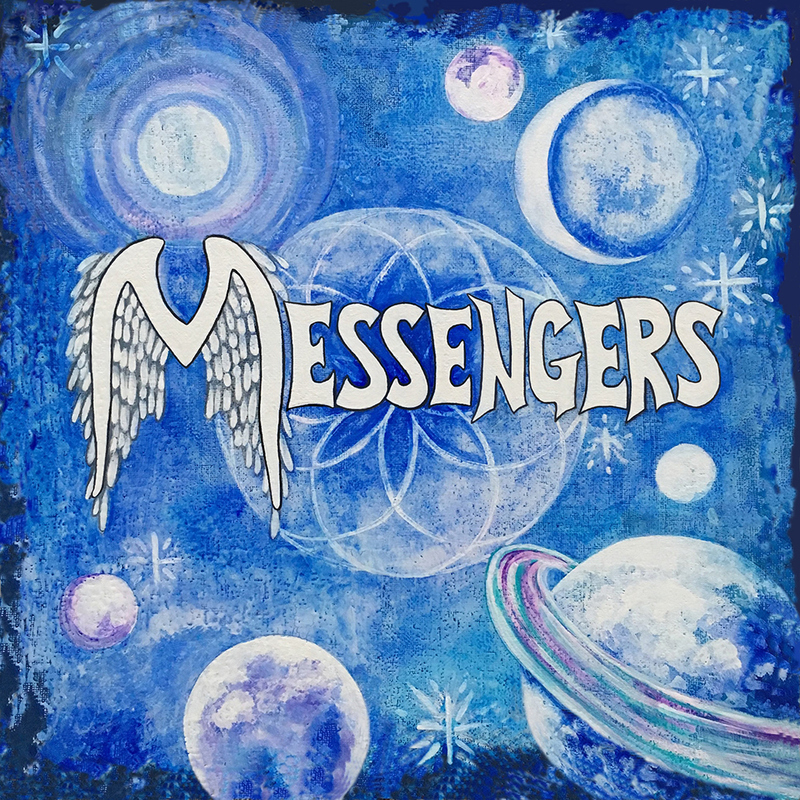 The new self-titled CD, Messengers, is inspired, emotional, melodic and musically intriguing. Being well aware of, and resigned to the beauty of all possibilities of life makes their message ultimately and extraordinarily hopeful. 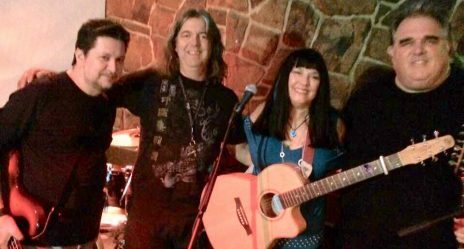 Writing and performing music on her own terms has allowed Donna and her band to stay true to their vision and focus of presenting the world with thought provoking and uplifting music. Messengers delivers an experience of spiritually centered music to guide your life by - not music to fall asleep by! Although you may not have heard of Donna Larsen and Messengers yet, you will soon. Their CD will drop by the end of 2018, so keep your heart and your ears open! 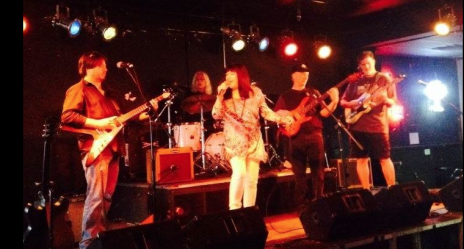 Join Donna Larsen and Messengers with Special Guest, Powerhouse Christine Gilardi and her Band of Talent! Music starts at 8:00pm! $7 cover. The band has embarked on a new adventure. We have begun recording our first CD at Track Star Studios! Special thanks to Josquin Des Pres for being awesome and making the process such an enjoyable experience. Right now, Donna is laying down basic tracks. Stay tuned for more updates as things progress. Donna Larsen and Messengers are at The Landing again! Come out and support Original Music all while having a GREAT TIME Dancing and enjoying this kick back place to be! 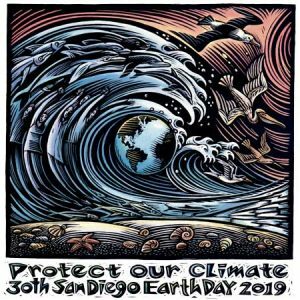 Together with DeuxRay Productions, Donna is thrilled to be able to bring San Diego Audiences such a fantastic group of original and award-winning musical artists for Earth Fair San Diego 2018! Music starts at 10:15 and goes all day until 4:30pm. Don't miss Southern California's largest Free Festival on April 22nd!! 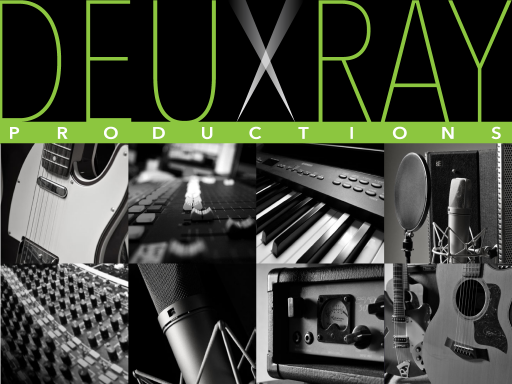 San Diego Indie Acoustic Original Artist Showcase on Saturday, July 30th!!! "How POSI Can You Be?" You really want to be at Rebecca's Coffeehouse for San Diego Indie Acoustic Original Artist Showcase on July 30th!!! Rebeca and David are giving us a rare appearance and sharing their beautiful, Positive Music with us. Christine Gilardi is well known and appreciated in San Diego for her performances of sacred music. I'll be giving it my all with my guys, Randy and John. Don't miss it!! — with Christine Gilardi, Sierra West, Rebeca Randle, David Randle, Randy Hodge and Donna Larsen. You are not gonna believe this! April 25, 2016 You are not gonna believe this. I have been healing up from the skiing accident a year ago. Feeling stronger all the time, but still having to watch my step. Well tonight I was in line with Randy at the GigTown Switchfoot concert when they wanted everyone to move the line. Following the crowd around I stepped into a tree well, my leg bent side to side, I screamed as I fell into a group of people who thank God softened the fall. People - especially Levi Dean and others, mostly musicians - were so helpful. I even saw Ian McCartor and he should be passing out flyers now for Saturday's show! My knee - yes the one still recovering - is more swollen than it was during the skiing accident. Pretty sure the ligaments are shredded again. What luck. Looks like I'll be back to sitting during my concerts. So so frustrated. John ( J-Rod) is taking me to the Ortho surgeon tomorrow. I hope to be able to use my old crutches to do my show at Le Stat's on Thursday when I open for this great band from San Francisco called The Sugar Ponies. You know what they say ... The show must go on! Top Ten On Reverbnation Again! 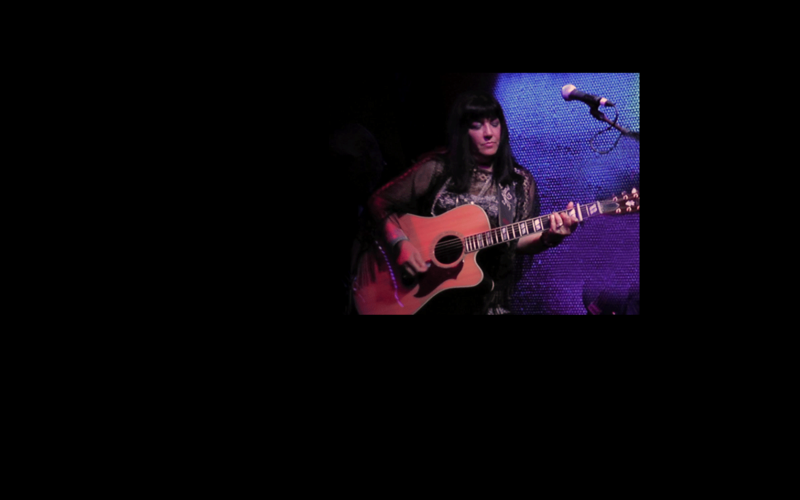 Thanks so much for getting me up again on the Top Ten at Reverbnation Singer-Songwriters!! It's fabulous to feel so supported in my artistic and musical endeavors!! Have a marvelous day and stay cool!! Hugs from Donna!! It's an honor to have reached this milestone -- 'thanks' to each and every one of you for supporting the band thus far. What a Great and FUN night!! Mishelle Banaga rocked it on lead guitar, Peter Bogle blew everyone's mind with his drum solo, and Lars Rasmussen slapped that bass with some pretty sick style at the Fundraiser for H20 tonight. Love my band!!! I am so happy with the band's first gig and how it was put on by Jay Seven. Thanks for having all of us! It’s a little jazzy. Hope you like it! Just came out of Noisy Cricket Studio. Man, that producer of mine, Steve Larsen, is a genius! 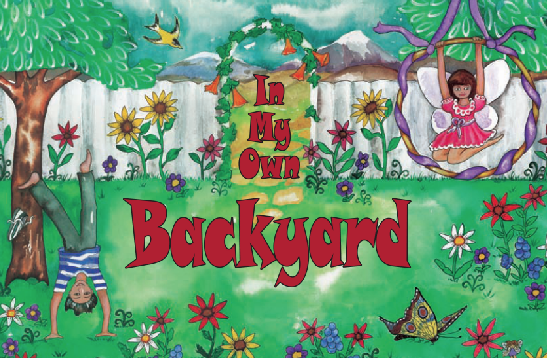 We finished the mixdown of my little jazz song for the In My Own Backyard Children's Song Book and CD Set www.imobyforkids.com called "This Tiny Thing", with the Maestro, Ray Briz on keys. I'm pretty excited about this! Have a listen--it's in the playlist on the right.